New comedy LA TO VEGAS will premiere on Tuesday, Jan. 2 (9:00-9:30 PM ET/PT) on FOX. From executive producers Will Ferrell (“Anchorman: The Legend of Ron Burgundy,” “Elf”), Adam McKay (“The Big Short”), Lon Zimmet (“Unbreakable Kimmy Schmidt”), Chris Henchy (“Entourage,” “The Other Guys”), Owen Burke (“Drunk History”) and executive producer/director Steve Levitan (“Modern Family”), LA TO VEGAS is a workplace comedy about an airline crew and the eccentric passengers who, every weekend, take a no-frills roundtrip flight from Los Angeles to Las Vegas with one goal in mind – to come back a winner. The series stars Kim Matula (“UnREAL”), Ed Weeks (“The Mindy Project”), Nathan Lee Graham (“The Comeback,” “Hitch”) and Olivia Macklin (“The Young Pope”) with Peter Stormare (“The Big Lebowski”) and Emmy Award nominee and Golden Globe winner Dylan McDermott (“The Practice,” “American Horror Story”). Levitan directed the premiere episode. Josh Bycel, Jonathan Fener and Jeff Morton also serve as executive producers. Following LA TO VEGAS, THE MICK will return in its new time period (9:30-10:00 PM ET/PT). New medical drama THE RESIDENT debuts Sunday, Jan. 21 (10:00-11:00 PM ET/7:00-8:00 PM PT), following the NFC CHAMPIONSHIP GAME, and makes its time period premiere on Monday, Jan. 22 (9:00-10:00 PM ET/PT). THE RESIDENT is a powerful new medical drama focusing on the final years of a young doctor’s training that rips back the curtain to reveal the truth of what really happens, both good and bad, in hospitals across the country. Starring Matt Czuchry (“The Good Wife”), Emily VanCamp (“Revenge”), Manish Dayal (“Halt and Catch Fire”), Moran Atias (“24: Legacy”), Merrin Dungey (“Big Little Lies”) and Shaunette Renée Wilson (“Billions”) with Melina Kanakaredes (“CSI: NY,” “Providence”) and Bruce Greenwood (“The People v. O.J. 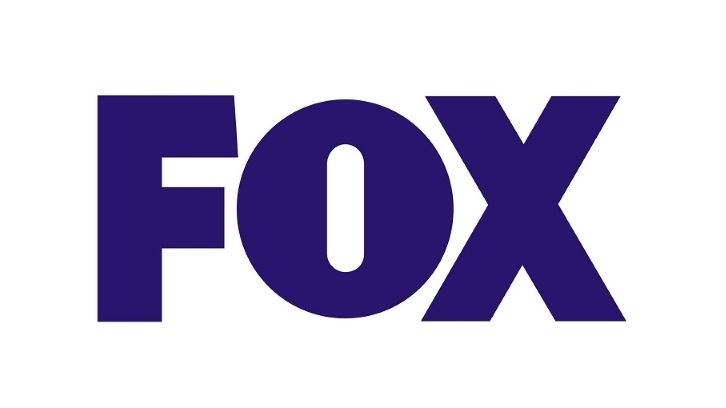 Simpson: American Crime Story,” “Mad Men”), the series’ executive producers include Todd Harthan (“Rosewood”), Amy Holden Jones (“Mystic Pizza,” “Indecent Proposal”), Rob Corn (“Grey’s Anatomy”), Antoine Fuqua (“Southpaw,” “Training Day”), David Boorstein (“Level 26: Dark Revelations”), Oly Obst (THE MICK, GHOSTED) and Phillip Noyce (“Patriot Games,” “The Bone Collector”), who also directed the pilot. 9-1-1, the provocative new procedural drama, will premiere following the debut of the next thrilling chapter of THE X-FILES Wednesday, Jan. 3 on FOX. The all-new, 10-episode second installment of THE X-FILES (8:00-9:00 PM ET/PT) event series once again will be executive-produced by creator Chris Carter, with stars David Duchovny and Gillian Anderson returning in their roles as iconic FBI Agents FOX MULDER and DANA SCULLY. Mitch Pileggi also returns as FBI Asst. Director WALTER SKINNER. Additionally, the all-new episodes will feature guest-star appearances by Annabeth Gish, Robbie Amell, Lauren Ambrose, Karin Konoval, Barbara Hershey, Haley Joel Osment and William B. Davis, who reprises his role as "Cigarette Smoking Man." In 2016, THE X-FILES drew an average multi-platform audience of nearly 16 million viewers and was the season's No. 2 broadcast drama, as well as the most talked-about event series on Twitter. Along with Carter, series veteran Glen Morgan serves as an executive producer. Following THE X-FILES, provocative new drama 9-1-1 (9:00-10:00 PM ET/PT) premieres. From creators Ryan Murphy ("American Horror Story" franchise), Brad Falchuk ("American Horror Story" franchise) and Tim Minear ("American Horror Story" franchise), 9-1-1 explores the high-pressure experiences of police, paramedics and firefighters who are thrust into the most frightening, shocking and heart-stopping situations. These emergency responders must try to balance saving those who are at their most vulnerable with solving the problems in their own lives. The series stars Academy and Emmy Award nominee and Golden Globe winner Angela Bassett ("American Horror Story," "What's Love Got to Do with It"), Emmy Award and Golden Globe nominee Peter Krause ("The Catch," "Six Feet Under") and Emmy Award nominee Connie Britton ("Nashville," "Friday Night Lights," "American Horror Story"). Oliver Stark ("Into The Badlands"), Aisha Hinds ("Shots Fired," "Underground"), Kenneth Choi ("The People v. OJ Simpson: American Crime Story") and Rockmond Dunbar ("Prison Break," "The Path") also star. Brad Buecker directs the premiere episode and serves as an executive producer, along with Alexis Martin Woodall and series star Angela Bassett. EMPIRE (8:00-9:00 PM ET/PT) and STAR (9:00-10:00 PM ET/PT) have their fall finales in December 2017 and return in March 2018. Additional schedule details to be announced.